Amazing 14k gold hamsa pendant , an artisan filigree traditional Yemenite workmanship set with a roman glass fragment with beautiful patina. The hamsa pendant is very impressive amulet of delicate filigree work. 14k Gold Yemenite Hamsa Pendant with Roman Glass Evil Eye Design The 14k gold hamsa pendant is an artisan filigree traditional work. It is a roman glass fragment with beautiful patina. The hamsa pendant is impressive amulet of delicate filigree work. 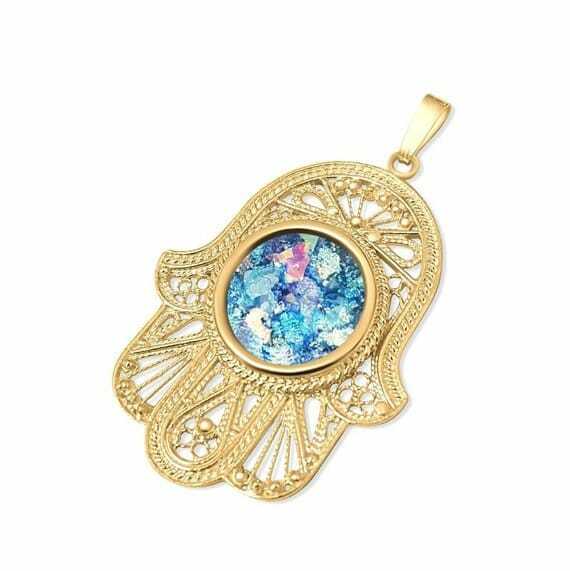 The hamsa hand or chamesh fingers is an old and popular amulet. 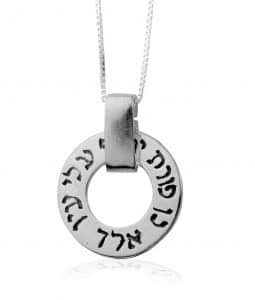 It provides magical protection from the evil eye. It is known to draw positive energy, happiness, riches and health. 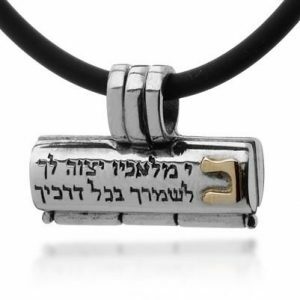 The Chamsa includes five digits and symbolizes the Creator’s protective hand. Five is by itself a number known as a protector. The hamsa, hung on a wall, is a common ornament in Israel. The use of the Hamsa is part of the Jewish and Israeli superstition. It has nothing to do with the official Jewish religion. Many people today display or wear hamsas as ornaments. They don't give any thought to their supposed magical properties. Size is 1.55x1.2 inch, and you can order chain. It consists of original certificate. This proves that this jewelry comprises of authentic 2,000 year old Roman Glass. The ancient Romans manufactured it in 2 BC. The glass found in historical diggings throughout the Holy Land is authentic. And certified as a genuine antique. This would be the best choice in case you wish to gift someone you love. Amazing 14k gold hamsa pendant , an artisan filigree traditional Yemenite workmanship set with a roman glass fragment with beautiful patina. The hamsa pendant is very impressive amulet of delicate filigree work. 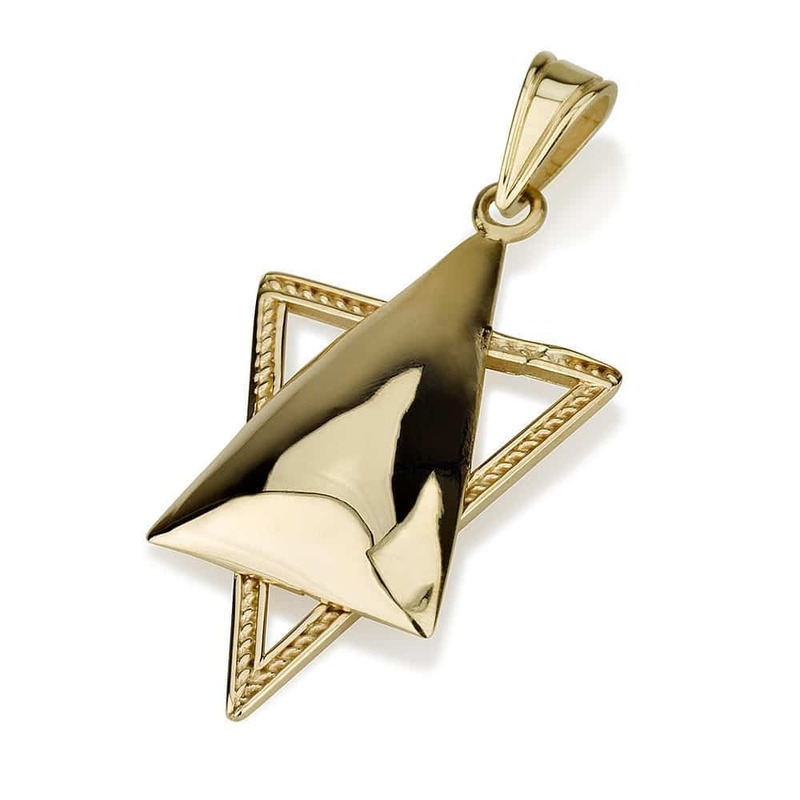 The 14k gold hamsa pendant is an artisan filigree traditional work. It is a roman glass fragment with beautiful patina. The hamsa pendant is impressive amulet of delicate filigree work. The hamsa hand or chamesh fingers is an old and popular amulet. It provides magical protection from the evil eye. It is known to draw positive energy, happiness, riches and health. The Chamsa includes five digits and symbolizes the Creator’s protective hand. Five is by itself a number known as a protector. The hamsa, hung on a wall, is a common ornament in Israel. The use of the Hamsa is part of the Jewish and Israeli superstition. It has nothing to do with the official Jewish religion. Many people today display or wear hamsas as ornaments. They don’t give any thought to their supposed magical properties. Size is 1.55×1.2 inch, and you can order chain. It consists of original certificate. This proves that this jewelry comprises of authentic 2,000 year old Roman Glass. The ancient Romans manufactured it in 2 BC. The glass found in historical diggings throughout the Holy Land is authentic. And certified as a genuine antique. 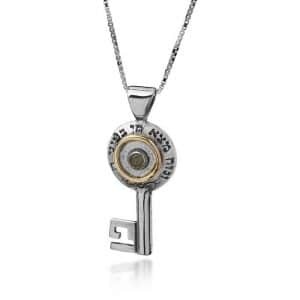 This would be the best choice in case you wish to gift someone you love.